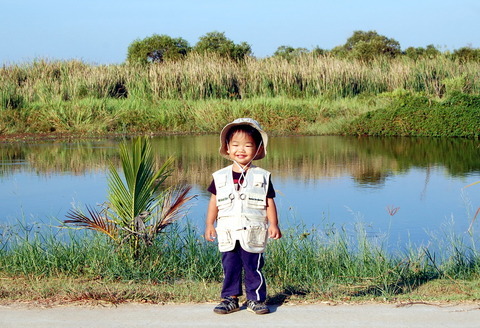 Max in his new Monterey Bay Aquarium vest and Khao Yai National Park hat! Dad really liked this shot and says Max looks like a big boy now! Makes him kinda sad to miss out on his babyhood, but he’s very proud…. Wow, that’s so cute on him! Thanks for posting it! ahhhhh soooo adorable! he looks like a lil man! that’s a fishing vest! I’m taking him fishing.